STUDY IN LONDON THIS SUMMER! ... Scholarship paid by London Bridge Rotary Club. First Application deadline - Dec 30, 2018. Contact information, below. The City of London/London Bridge Rotary Educational Foundation (COL/LBREF) provides scholarships to deserving students attending Arizona Colleges and Universities for summer study at the University of Westminster in London England. COL/LBREF was formed by the London Bridge Rotary Club, located in Lake Havasu City, Arizona, to administer the scholarship program. The City of London Arizona Educational Trust, Inc. (COLAET) has operated the scholarship program since its inception in 1991. The Corporation of London formed COLAET in 1991 for the expressed purpose of enhancing the bond of friendship between the State of Arizona and the Corporation of London. The proceeds of the sale of an authentic English PUB, located in Lake Havasu City, Arizona, were used to initially fund the Trust, which had a seven member Board of Directors, including two from the United Kingdom, one a former Lord Mayor of London. In 2005, the London Bridge Rotary Club (Lake Havasu City) assumed operation of the scholarship program. Scholarship awards include airfare, tuition and room. London is very expensive and selected students will need to save personal funds before leaving for London. 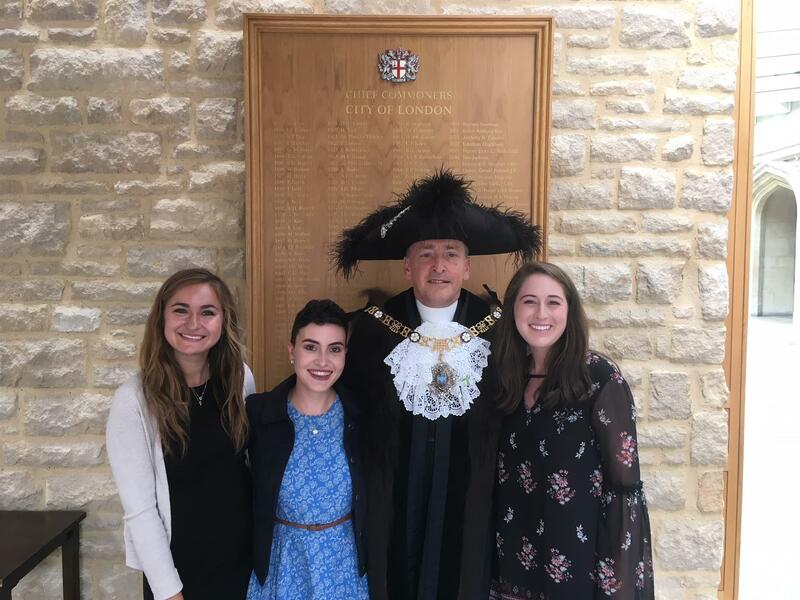 Students have the opportunity to meet the sitting Lord Mayor of London and to attend a meeting of the Common Council. Students attend classes for three to four hours per day and have numerous field trips related to their chosen field of study, which include Creative Writing, History, International Relationships, Law plus many others. The University of Westminster Summer School Program (www.wmin.ac.uk/libarts) is renowned for bringing together students from all over the world. This enables Arizona students to experience the excitement of London and get to know people from many diverse cultures at the same time. Student classes last for three weeks, usually beginning in early July and return to Arizona in early August. Students can extend their stay in London, at their own expense, if they choose to do so. Please go to the Westminster web site (www.wmin.ac.uk/libarts) for more details of classes and housing. In May COL/LBREF will host an orientation meeting for selected students and their parents in Lake Havasu City, Arizona where you will meet former students and parents. Attendance at this meeting is mandatory.